The 150 psalms of the Old Testament express rejoicing, joy, confidence, but also lament, grief, anger, and even doubt. 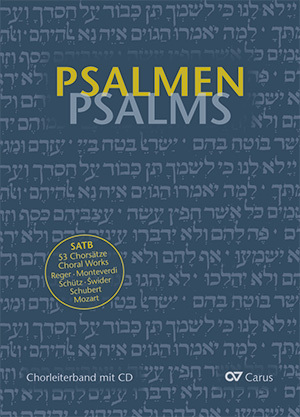 The psalms are present throughout Christianity and Judaism to this day, and are sung worldwide in countless settings. 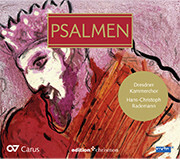 The Choral Collection Psalms displays the whole stylistic and linguistic variety ranging from contemplative, simple "Anglican chant" through Russian Orthodox homophony to virtuoso motets with jazzy echoes. Over the last ten years editor Stefan Schuck has performed two psalm compositions every week in his NoonSong series in Berlin. From the resulting 800 works, he has selected the most interesting compositions arranged according to level of difficulty. 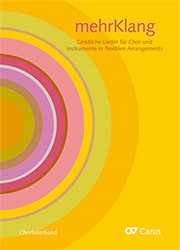 The choral director’s volume includes a CD with recordings of selected works, sung by sirventes and conducted by the editor, which will help with learning and rehearsing the repertoire. 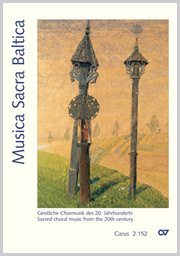 includes many unknown jewels such as "Boze, Boze moj" (César Cui), "Jauschëw be sesër eljaun"